Erdogan praised Arab lawmakers, led by MK Ahmad Tibi, for countering Israel’s “baseless rhetoric” against Turkey. Israeli Arab MKs met on Saturday in Istanbul with Turkish President Recep Tayyip Erdoğan, who thanked them for “representing the Palestinian demands in the Knesset” and opposing Israel’s “baseless rhetoric against Turkey.” The group was led by MK Ahmad Tibi. The trip by the MKs received a much cooler reaction back in Israel from a senior member of Prime Minister Benjamin Netanyahu’s ruling Likud party. 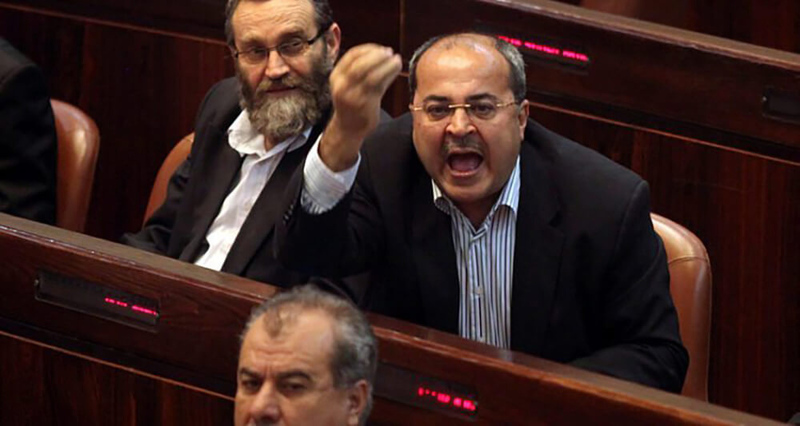 “Time and time again, Tibi and his group insist on proving to everyone they aren’t really worthy of being Knesset Members. They are Trojan horses seeking the evil of the State of Israel,” said Culture and Sports Minister Miri Regev. Participants said that the meeting dealt with the arrests and detention of three Israeli Arabs who had traveled to Turkey for a kidney transplant. According to Turkish law, it is illegal to receive a kidney from a donor who is not immediate family. Following the meeting, Erdogan is said to have agreed to release one of the three who was arrested and to drop the charges against the other two who were detained. The minister was referring to the Mavi Marmara ship that set out for Gazan shores in 2010 as part of the “Gaza Freedom Flotilla” despite the warnings by Israeli authorities. A Turkish NGO was behind it, and MK Zoabi was on board. As the flotilla drew close to Gaza, violent confrontations ensued between the activists and Israeli naval commandos. A flotilla organizer acknowledged that Israeli soldiers did not open fire until an activist seized a gun from one of them. During the struggle, nine activists were killed, including eight Turkish nationals and one Turkish American, and many were wounded. In 2014, a tenth member of the flotilla died in hospital after being in a coma for four years. Israel said later that deadly weapons, including knives and metal rods, were found on board the ship. In Saturday’s meeting, Erdoğan also promised that “Turkey will never turn its back on the Palestinian people,” and will “use all means to end the occupation and achieve peace,” according to Tibi. Leading right-wing politicians. including Regev and former Defense Minister Avigdor Liberman have been outspoken in questioning the loyalty of Arab MKs to the State of Israel. The Balad party, one of the Israeli Arab factions, picked a new slate on Saturday for the April Knesset election. The new leader, Mtanes Shehadeh, refused in an interview on the Galei Yisrael radio station on Sunday to be pinned down on whether he thought Hamas and Hezbollah are terror organizations.